Blue t-shirt with red and silver transfer. Image shows three lines of people in silhouette in the shape of the emblem, with the word HERO picked out in silver at the top. 'Red or Dead for the Red Cross' appears beneath the centre of the cross. 'Supported by COTTON USA' appears on the left side of the cross. Designed for Red Cross Hero Campaign (part of Red Cross Week) by Red or Dead. 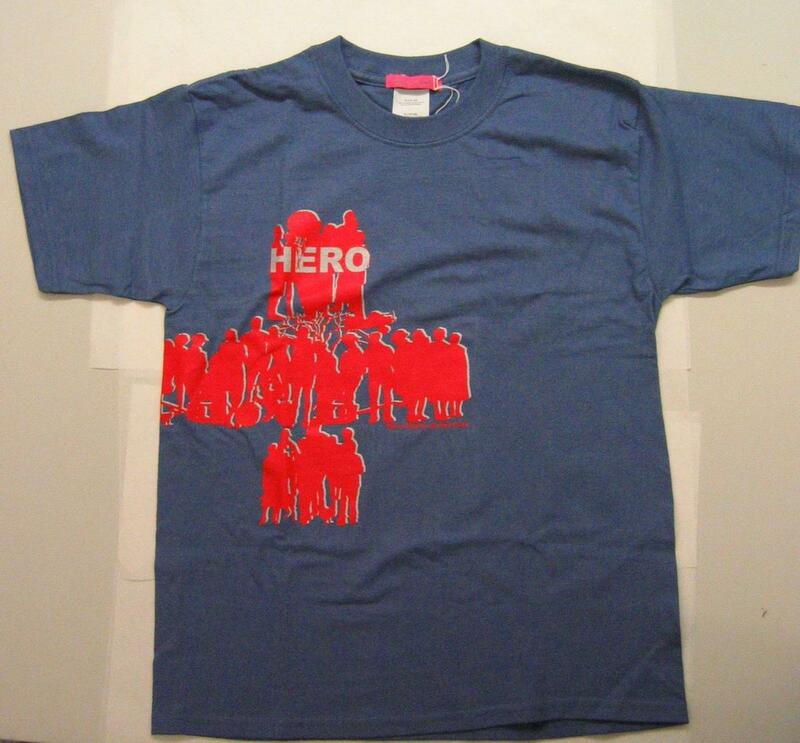 Worn by celebrities, auctioned on ebay and worn by hosts of UK Office Red Cross Week Quiz.